Fuling Han is a professor in finance and currently dean in the department of applied finance in Central University of Finance and Economics. He has been teaching courses including investment banking, financial markets, security investment, and venture capital, amongst others. Han is also titled expert in the research bureau, People’s Bank of China, financial advisor at ICBC and BOC, and independent director in a listed company. Han has accomplished twelve CSS major programmes at a ministerial level, among which the program “Research on the Reformations in Investment and Financing” has been awarded first prize by the State Commission for Economic Restructuring. He has in the past been invited to speak by financial media such as CCTV and China National Radio. Xiang Songzuo is a renowned economist, former chief economist of Agricultural Bank of China, Board member and deputy head of International Monetary Institute of Remin University of China, deputy chairman of Official Monetary and Financial Institutions Forum (OMFIF) advisory board.He is also advisor of the International Monetary System Reforms Panel of World Economic Forum, and Special financial commentator of CCTV.He has written many books including The New Capitalism,Financial Crisis and National Interest, and Towards Market Economy.His books and articles have won the Chinese National Book Awards, Top Ten Economic Books by the Economic Daily and Outstanding Books for Colleges and Universities. Wu Weiye is a full-time member of credit committee of Bank of China. He joined Bank of China in 1985 and held several key positions in the bank including his appointment at Bank of China Tokyo Branch from 1997 to 2002 and 2005 to 2010. He also worked in Bank of China Hong Kong in 2003. He also played a crucial role in the founding of the Export-Import Bank of China in 1993. Wu writes regularly for different journals on topics like Studies of International Finance and Abe’s Political Economics. 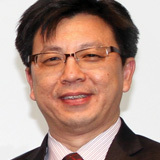 Wang Lei is the deputy general manager of retail banking at CITIC Bank. He has been engaged in retail banking for more than 10 years. Prior to his position, Wang has served in two of the leading joint-stock commercial banks and has held key positions while managing the branch network. He has vast experience in areas such as wealth management, cross-industry marketing via internet, productivity enhancement in branches and branding. Cartier Lam Chi-man possesses nearly 30 years of experience in the banking industry. Before assuming the role of deputy chief executive, he held several other key posts within Bank of East Asia (China) Ltd. He is currently the in-charge of financial control, HR, strategic planning, bank investment, marketing & communications. He is also the spokesman for the Bank. He is currently a member of CPPCC Huangpu District, Shanghai; standing committee member of the Shanghai Huangpu Overseas Chinese Friendship Association, member of CPPCC Dalian and is appointed as an overseas economic advisor to the Dalian Municipal Government. He also remained executive committee member of banking associations of Dalian & Xiamen. Lu Tongbo is the vice president of banking business at Tongdun Technology. With more than 20 years of experience in the IT industry, he has served several local and international firms including Compuware Software, Sysbase, Aspect Software and Boyasys. He was responsible for business development, operational planning and marketing strategies and successfully led the teams to expand and achieve steady growth in the Chinese market. Boon Ping manages the Asian Banker publication business and engages practitioners, customers, partners and media on critical issues that impact the industry. He has more than 19 years of experience in the banking and financial services industry, specializing in strategic branding, marketing communications and consumer insight. Prior to The Asian Banker he was at United Overseas Bank (UOB), covering Singapore and key markets in the region, such as China, Indonesia, Malaysia and Thailand. Hugh Zeng recently joined the Asian Banker as researcher manager where he covers risk management as well as China related research. Prior to joining the company’s China office, he worked for American Express in Singapore. Zeng has also been an investment operations officer at OCBC Bank, where he gained exposure to operations and technology, product, and project management in the areas of QFII, QDII, and wealth management. He was instrumental in helping OCBC build its QDII platform in 2011.He started his career with HSBC where he held the positions of product specialist, xwealth management operations associate and settlement analyst.